Another “trying to figure out what do with Fresh Fork food” post! I’m not a very big fan of radishes, but I figured I should find something to do with them. We had a cucumber left over from last week as well, so this recipe seemed perfect. 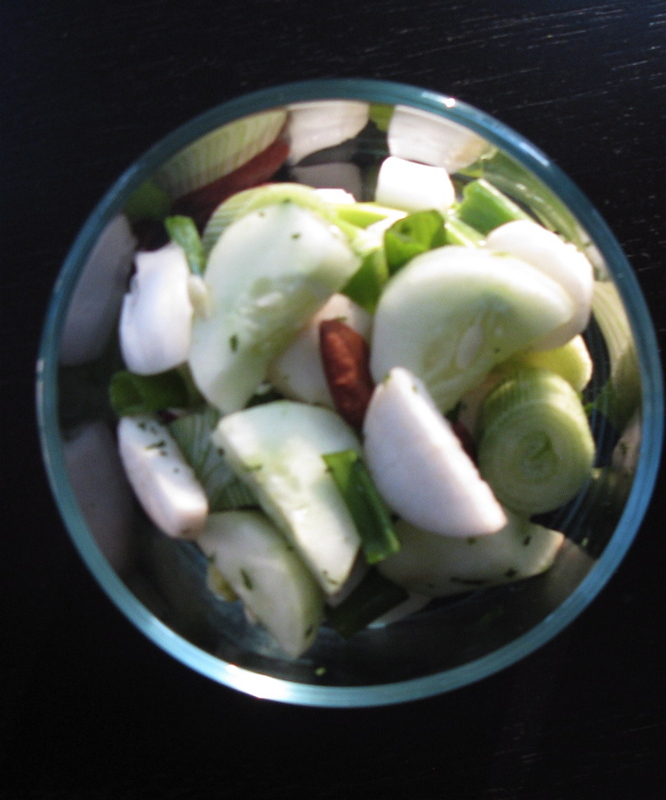 This is a slightly adapted version of Epicurious’ Cucumber and Radish Salad Recipe. As with most everything I make, I don’t see the need for all of that olive oil which the original recipe calls for. It also calls for more cucumbers than I had available. Despite not liking radishes on their own at all, I really enjoyed this combination of flavors. Try to get most of the water out of these, or your salad will end up very watery. I pressed mine with a paper towel after they were cut and left them to drain for a bit. Everything except the red wine vinegar can be combined and kept together in the fridge – that should be added just prior to serving if possible. As usual, I leave a piece of paper towel in the container to keep it from getting too moist.Enjoy! This entry was posted in Fresh Fork, Recipe, Salad and tagged Cucumber, Fresh Fork Market, radish.